Join us for an evening of music by the Persian Music Ensemble and Moroccan food. Persian Music Ensemble's music is infused with the lyrical poetry of Rumi and Hafez, as well as Sufi repertoire including Turkish Sacred songs (Illahi), Persian Ghazal, and Arabic folk songs. Instrumentation includes the rich sound of the Persian Setar, the Arabic Oud and world percussion. April Centrone is a versatile performer of drumset in the genres of hard rock, jazz, funk, world, progressive and avante-garde. Her other trademark is as a performer and educator of the riqq (Arabic tambourine), as well as the darbekkeh (goblet drum) and frame drum. 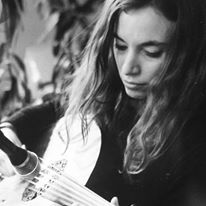 For almost ten years, she was student of master Lebanese/Palestinian percussionist, Michel Baklouk Merhej, and studied Arabic music and its other instruments, including the 'ud (Arabic lute), buzuq (Arabic 'saz') and violin. She has performed with renowned Arab artists such as Marcel Khalife, Ziad Rahbani, Bassam Saba, Charbel Rouhana and Najib Shaheen. Centrone is the executive director and co-founder of the New York Arabic Orchestra. Amin Sarshar is originally from Hamadan, Iran and has performed with various ensembles. He was also classically trained to sing Persian ghazals under the Persian Dastagh system. He received his PHD in mechanical engineering at Stevens Institute of Technology. COST OF TICKET INCLUDES MOROCCAN FAMILY STYLE MEAL AND MUSIC. Cost of tickets for adults is $40, discounts for teens and children. Infants 0-2 are free.